Assisting every student athlete inside and outside of the classroom to provide academic and athletic success. 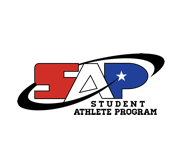 NCRF's S.A.P is committed to helping student athletes with their dreams of playing at the next level. Our mission is to provide student athletes with the necessary resources to ensure academic and athletic success. STUDENT ATHLETES! It is important that you understand the "value" of being a STUDENT ATHLETE and not an Athlete Student. In today's times college coaches are looking for students who perform well in the classroom as well as on the field. For colleges to keep their athletic scholarships, they have to recruit athletes who can perform well in the classroom. As they are looking at you and thinking about recruiting you, no matter how good you are, the first thing out of their mouth is "how are his/her grades". They cannot give you an athletic scholarship if you don't meet the academic requirements. Plus, to have success after sports, you must be educated, so take advantage of your scholarship to get your DEGREE! NCRF/The College Expo through its collaborative partners has placed over 600 student athletes with full scholarships in various colleges across the country. The Student Athlete Program is an outreach program developed by the NCR Foundation/The College Expo to transform athletic students into STUDENT ATHLETES. Do you think you have what it takes to play your sport at the next level??? If so, let NCRF help YOU! We have relationships with College Coaches and can help you get athletic scholarships. We can also help you meet NCAA Clearinghouse requirements and provide assistance to help you in your academics, if needed! NCRF Sports Program wants to help YOU play at the NEXT Level. We make it easy for student athletes to connect with college coachesContact us today for more informationLET US HELP YOU Get Recruited! National College Resources Foundation’s program Black College Expo™ held the 1st Annual Exclusive HBCU Football Combine and 7on7 showcase April 29th and April 30th at Lynwood High School. This 2-day event showcased 265 student athletes from all over California. 105 athletic scholarships were offered to students, totaling over $8 million in scholarships awarded. Saturday student athletes participated in combine testing which included bench press, vertical, 40, and the pro shuttle. After combine testing, athletes were addressed by HBCU football coaches who spoke about the history of Historically Black Colleges and promoted education as a priority for student athletes. Throughout the day athletes were being evaluated to receive an invitation to Sunday’s skills day. Sunday the invited athletes participated in position drills, 1on1’s, and a 7on7 for final evaluation from the college coaches. Some student athletes were offered scholarships on the spot based on their performance. NCRF Sports Program in partnered with the Kenny Washington Legacy Foundation. Kenny Washington was passed over by the NFL, which had not had an African-American player since 1933. Instead, he became the biggest star and most popular player in two minor professional leagues on the West Coast. Finally, in 1946 the Los Angeles Rams signed him, ending the 12-year ban on black players in the NFL. This award is presented to the combine's most outstanding player on both the offensive and defensive side of the ball. These student athletes not only exemplified athletic excellence, but also displayed coachability & great work ethic. Instructed by college coaches who represent DI, DII and DIII schools. Also featuring HBCU, private and small schools.